Home Facebook Facts Facebook Tips Funny Do you feel depressed after visiting Facebook? 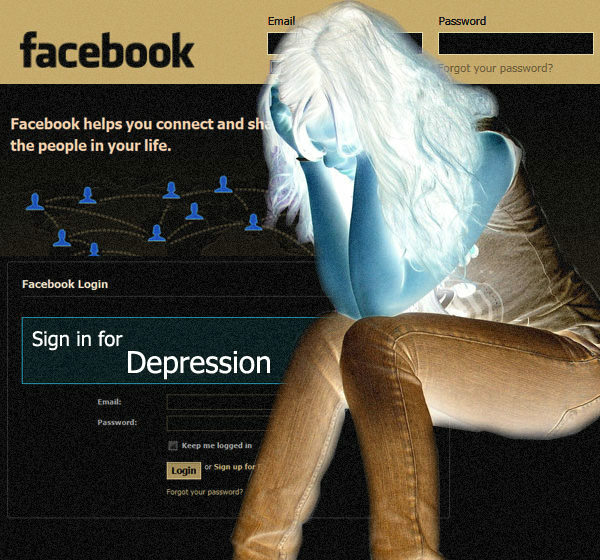 Do you feel depressed after visiting Facebook? Its very common people like showing off on Facebook by updating fancy status messages when they visit foreign countries for either official work or vacation. Its been a scientifically proven study that such updates can make people depressed. This depression can lead to very serious psychological problems and start affecting your personal and official life. Like every thing there is a solution for even this problem. 1. Simply block such friends from Facebook. 2. Mark there updates as offensive. 3. Un friend them (very common). 5. If nothing works the last resort is Facebook suicide. After you commit Facebook suicide you feel very much liberated and start regaining your lost confidence. Anyway Facebook is the biggest timepass activity for billions of people instead you are doing better things in life. And yes once you visit a foreign country quietly visit Facebook and reactivate your Facebook account to update your once ignored friends with your fancy status messages and also making few others depressed. This article was written to make you smile if you are more depressed you can seriously consider option 5.